Nigel Farage is returning to frontline politics to "fight back" against what he describes as Theresa May's "fraudulent" Brexit plan. The former UKIP leader said he would be part of a battle bus tour by the Leave Means Leave group to oppose the prime minister's proposals.He claims Mrs May does not believe in Brexit or Britain and says he is returning to politics to try to get ahead of a "big campaign" which he believes Remain MPs will embark on in the coming months. "I can see that in the autumn there's going to be a big campaign," he told Sky News. "What they will try to do is to suspend Article 50, to delay the date on which we're actually supposed to leave. "It's time we fought back. 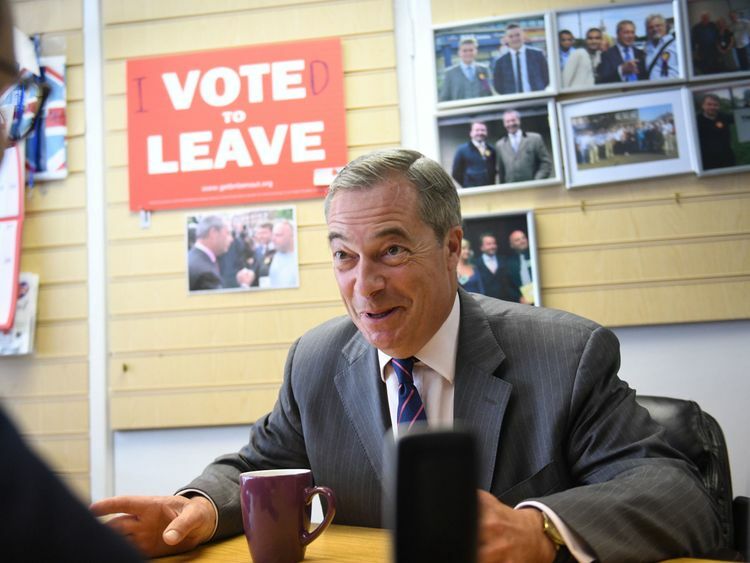 "Mr Farage, who finished as UKIP leader in November 2016, said those who voted for Brexit would not get what they wanted "if we trust our politicians to deliver Brexit".He said many MPs "underestimate the strength of feeling that is out there". "Frankly, Chequers, and everything else that's been happening in parliament, is nothing less than a direct betrayal of everything people voted for," he added. 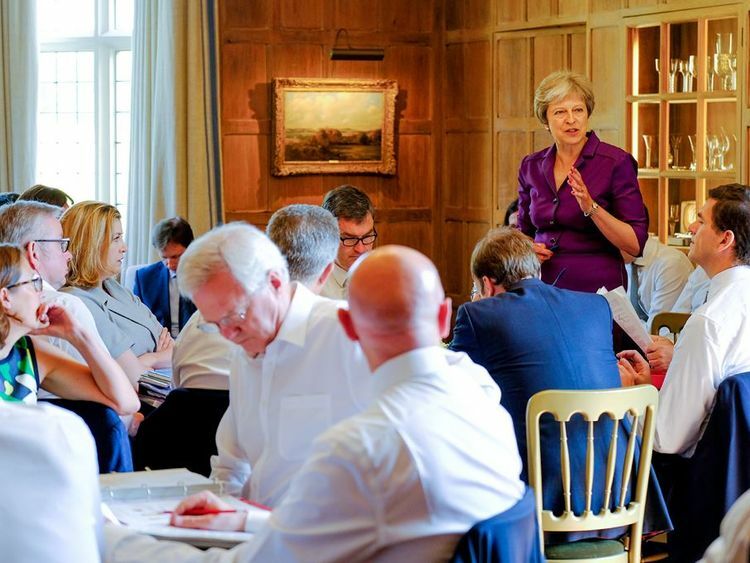 "Chequers leaves us half in, half out. "Let me assure you that 17.4 million people are not stupid, they're not idiots, they knew what they were voting for. "They've had enough of being talked down to by politicians, by big business leaders, by elements of the media. "We're sick to death of being sold out. It's time we had our voice again and that is what this campaign intends to do. "Mr Farage, who is still an MEP, criticised the way the Brexit deal has been debated by politicians, saying "it's classic Westminster bubble stuff". "The public - the only time they were engaged since the referendum was in a general election in which the Labour and Conservative parties wilfully deceived people in that vote," he said. "And my job now is to go out, get the people motivated, mobilised, get them speaking again. "And I think our politicians will be surprised when they find out just how angry their constituents are with them. "The MEP slated Mrs May's negotiating skills, saying: "A good negotiator would have said, 'Look guys, you've got a lot to lose here, let's be grown ups. '"The fish rots from the head down and I'm afraid that Theresa May just standing in front of TV cameras telling us 'Brexit means Brexit, we're taking back control of our borders' - and doing the absolute opposite all the way through. "She doesn't believe in Brexit, she doesn't believe in Britain, she doesn't believe we're good enough to run our own affairs. I'm afraid she bears a very heavy burden of responsibility. "He wrote in The Daily Telegraph on Saturday that people have "stopped me in the street to ask: when are you coming back?"